Carolyn LeBlanc, 28, of Winnipeg, is an upper-body design engineer at the Honda R&D Americas in Raymond, Ohio. 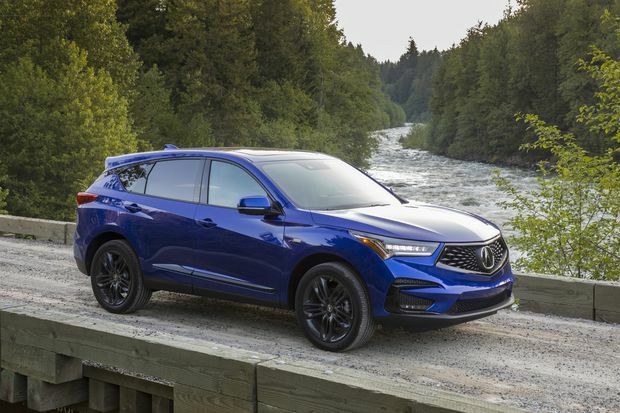 She recently finished work on several key projects for the 2019 Acura RDX. I wanted to become an engineer ever since I was little kid. When I was eight years old, my dad and I would play Roller Coaster Tycoon [a simulation video game], where you build and manage an amusement park. I asked him, “How do I design roller coasters for a living?” He simply said, “Well, you would have to be an engineer.” And from that point on, I knew what I wanted to do. My courses and interests through middle school and high school reflected that, eventually leading to my Bachelor of Science degree in Mechanical Engineering at the University of Manitoba. I wouldn’t be where I am today without the Formula SAE student design/engineering competition. At my university, it was all on a volunteer basis, but I thought it was a unique hands-on project where you can develop your skills by building a car from the ground up. I loved design and engineering, so it seemed to be the perfect fit. I was on the team for five years [team leader on the back end], and went through a total of 10 competitions, two per year. All that extra problem-solving work helped to develop my engineering and thought skills that translate so well to my job today at Honda. I wasn’t a car person at all, but that all changed during a separate design event. After a successful presentation of our frame and body, one of the judges from Honda R&D approached me with his business card in the paddock and we chatted. Before that moment, I don’t think it ever crossed my mind [joining Formula SAE] with the intent of being discovered – it was just to get additional experience. But one thing led to another, and I’ve already been with Honda for close to five years. Moving from Manitoba to Ohio was difficult, but coincidentally, that transition was made easier by my then-boyfriend and now husband [Kyle], landing a job with Honda in Ohio as well. We met during our Formula SAE years, and we are so fortunate for how these opportunities came about. I’m glad we weren’t scared to take that leap together, and it’s been everything we’ve hoped for. 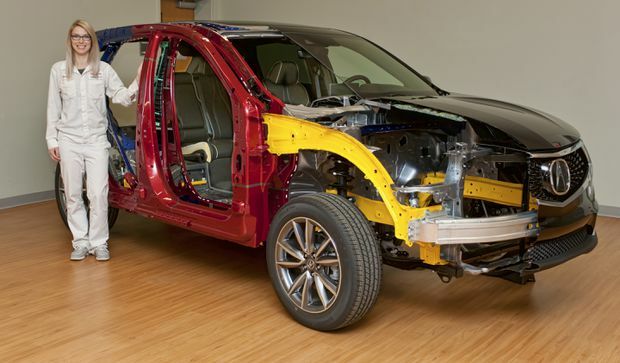 They threw me right to work on the 10th-gen Honda Civic when I was only three months in. Even though I was provided a mentor and design specialists to help along the way, it was eye-opening how much responsibility and design influence you’re given. Working on the Civic taught me how much detail and hours go into one little part, so you can only imagine what it takes for the whole vehicle. It’s still not super common to be a female in the automotive industry, but you’re starting to see more and more of it, and that’s encouraging. From an early age, my parents instilled in me a mindset that I can be anything I wanted. I never thought of barriers toward being an engineer or working in the automotive world, and I hope that’s the case for our future generation. Wherever things lead, I want to be in a position to make a difference. It’s hard to say what the future holds, but I never thought in my wildest dreams I would be in the automotive industry. I didn’t know anything about it, and now I absolutely love it. I’ve already mentored two new associates, and want to continue making an impact on future generations. For now, I’m riding this exciting wave and loving every minute of it.